Southeast, New York – On April 3, 2019, the New York State Police from the Brewster barracks arrested Zef J. Lulgjuraj, age 34, of Bronx, NY, for Criminal Possession of a Controlled Substance in the 4th degree, a class C felony. 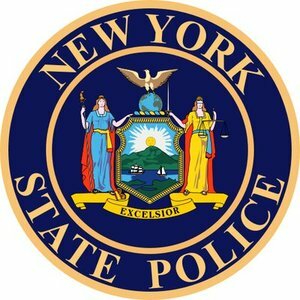 At approximately 3:30 p.m., Troopers conducted a traffic stop on a 1999 Mitsubishi Mirage on Interstate 84 in the town of Southeast for a violation of the vehicle and traffic law. Further investigation found Lulgjuraj possessed approximately 4.2 grams of amphetamine pills. Lulgjuraj was arraigned before the town of Southeast Court, and remanded to the Putnam County Jail in lieu of $1,000 cash bail or $2,000 secure bond. Lulgjuraj was next scheduled to appear before the Court on April 9, 2019, at 1:30 p.m.